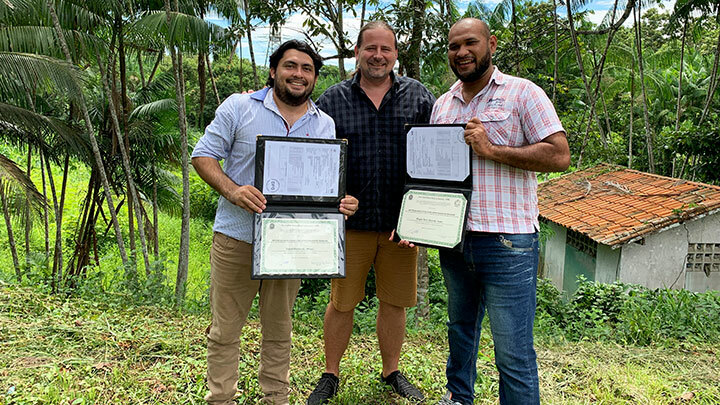 It is with great pleasure that we can announce today that two of our research group members, Rafael Anaisce das Chagas and Wagner César Rosa dos Santos, have completed their master with success in Aquaculture and Tropical Aquatic Resources. Congratulations and good luck in the further career! Doctor in Marine Biology, University Professor, actually researching and teaching at graduate and undergraduate courses at the Federal Rural University of Amazonia.